Seoul, Oct. 9 (BNA): North Korean leader Kim Jong-un has expressed his belief that a "good programme" will be arranged "sooner or later" for his second summit with U.S. President Donald Trump, the North's state media said Monday. Kim voiced his optimism as he said goodbye to U.S. Secretary of State Mike Pompeo, who made a one-day trip to Pyongyang on Sunday to keep denuclearization talks going and also to discuss a second summit between Kim and Trump following their first historic talks in June according to the Korean Central News Agency (KCNA), South Korea's News Agency (Yonhap) reported. "Expressing the belief that the dialogue and negotiations between the Democratic People's Republic of Korea (DPRK) and the United States (U.S.) based on the deep confidence between the top leaders of the two countries would continue to develop favorably in the future, too, and a good program for the 2nd DPRK-U.S. summit talks would be provided sooner or later, the Supreme Leader said good-bye to the U.S. secretary of State," the KCNA said in English. The KCNA said that Kim also expressed "will" and "conviction" to make progress on issues of mutual concern, apparently indicating the denuclearization talks that have almost been stalled since the June summit in Singapore. "There was an exchange of stands of the top leaderships of the two countries on the issues arising in holding the second DPRK-U.S. summit talks to be followed by an in-depth discussion of them," the KCNA said. "The Supreme Leader expressed his will and conviction that a great progress would surely be made in solving the issues of utmost concern of the world and in attaining the goal set forth at the last talks with the projected second DPRK-U.S. summit talks as an occasion," it added. The KCNA said that Kim explained in detail the "proposals" intended to resolve the denuclearization issue and other matters, adding that the leader and Pompeo also exchanged "constructive" views on relevant matters. It added that there was an agreement to hold working-level talks to arrange a second summit between Kim and Trump. Indicating the overall mood was friendly, the Rodong Sinmun, the official newspaper of the North's ruling party, devoted its front page to the meetings, printing multiple pictures of Kim and Pomepo. The North's state TV aired footage in which the two were seen having talks and smiling. Pompeo's visit to Pyongyang was the fourth of its kind. It came amid expectations that his meeting with leader Kim could provide momentum to get the denuclearization process going again after a month-long stalemate over how to rid the North of its nuclear weapons programme. North Korea has called on the United States to actively engage in talks on declaring an end to the Korean War, which was halted in 1953 with an armistice, not a peace treaty. The U.S. has said that it will not make such concessions unless the North takes substantive steps to do away with nuclear weapons. In a summit in April, the leaders of South and North Korea agreed to cooperate in declaring an end to the war this year, saying that they will seek multilateral talks involving the U.S. and possibly China. North Korea recently asked for "corresponding" reciprocal measures for the possible dismantlement of its important Yongbyon nuclear complex, a demand experts say might refer to declaring an end to the war or easing sanctions imposed on the country. 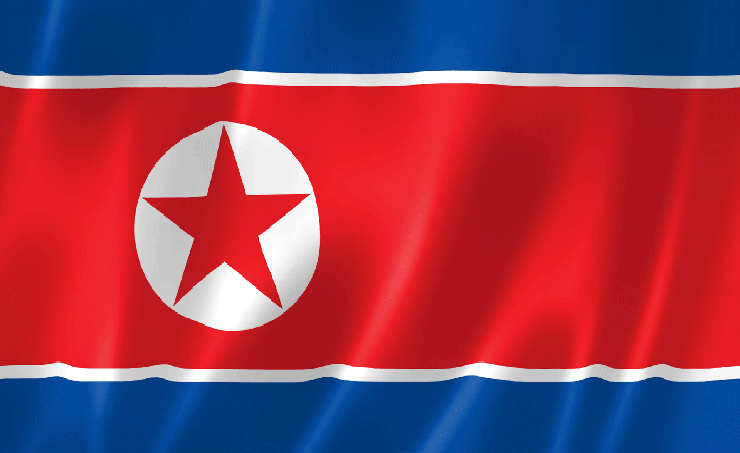 * DPRK is the abbreviation for the North's official name, the Democratic People's Republic of Korea.